What distinguishes me from most trial lawyers is my intense focus on being prepared and anticipating issues that will heavily impact the outcome of a dispute. I also take great pride in always keeping clients up to speed on every aspect of their cases and working together to create a strategy that will put them in the best position to succeed, either through aggressive litigation or a cost-effective alternative solution. Andy Landry is a veteran trial lawyer with an extremely diverse and challenging caseload, primarily focused on high-exposure personal injury litigation and complex commercial disputes before state and federal courts throughout Texas and many other states. His clients range from Fortune 500 companies to small businesses within several industries, including chemical production, paint and coatings, oil and gas, paper mills, steel manufacturing, construction and sporting products. 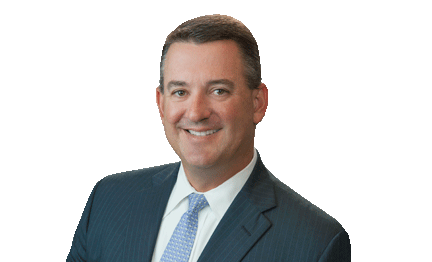 Andy has guided plaintiffs and defendants to successful results in jury and bench trials, on summary judgment, on appeal and through cost-effective settlement negotiations. His personal injury practice covers a broad range of claims with large dollar amounts at stake, including premises liability, products liability, toxic torts, wrongful death, property damage, food contamination, vehicular accidents and OSHA investigations. Andy also handles a variety of commercial litigation matters involving breach of contract, employment issues, fraud and DTPA claims. Although his practice is largely focused on resolving disputes after they escalate to litigation, Andy also has unique experience in crisis management and preventative litigation strategies. He’s always on call to guide premises owners through the legal and public relations issues that arise after a catastrophic accident involving serious injuries and substantial property damage. Andy helps clients stay ahead of the crisis by leading a team of lawyers and experts focused on collecting evidence, interviewing witnesses, assessing causation and evaluating injury and property claims. Recovery of high six figure settlement for manufacturing company in breach of supply agreement litigation. Successful defense of multiple personal injury claims arising out of failure to warn, slip and fall, industrial accident, and motor vehicle claims. Successful defense of marine transportation companies and their offshore insurance carriers in personal injury/Jones Act litigation. Obtained multiple defense jury verdicts on behalf of insurance carriers and their insured's in motor vehicle injury cases. Obtained full and complete dismissal on behalf of Texas homebuilder in breach of contract, fraud and DTPA case. Successful representation of paint, solvent and chemical manufacturing companies in personal injury actions centered on benzene-leukemia (AML) issues. Obtained multiple summary judgments based on "no-evidence", medical causation, and statute of limitations for Fortune 500 defendants in product liability, gross neglect, premise liability and wrongful death claims. Lead counsel for pesticide manufacturing company in matter involving catastrophic crop loss sustained by cotton farmers in Tom Green, Schleicher, and Concho County, Texas. Secured scores of dismissals without the payment of settlement money on behalf of asbestos, silica and chemical manufacturing companies in both state and federal courts in Texas, Louisiana, New Mexico, Kentucky and Missouri. Obtained sizable settlements for manufacturing companies in suits brought against supply and vendor companies on breach of contract, product defect and DTPA claims. Texas trial and coordinating counsel for Fortune 500 companies sued in food contamination, vinyl chloride, TCE, asbestos, silica and benzene litigation. Successful representation of chemical facility owner in multiple lawsuits arising out of an explosion and release of isocyanates. Obtained significant settlement for paint contractor company in breach of contract case filed against homebuilder company. Successful defense of transportation company in wrongful death auto-pedestrian lawsuit and multiple other serious personal injury claims. Obtained summary judgment for paint manufacturer in million-dollar breach of warranty/DTPA claim concerning toxic mold in a commercial building.